This makes station attributes more clear. 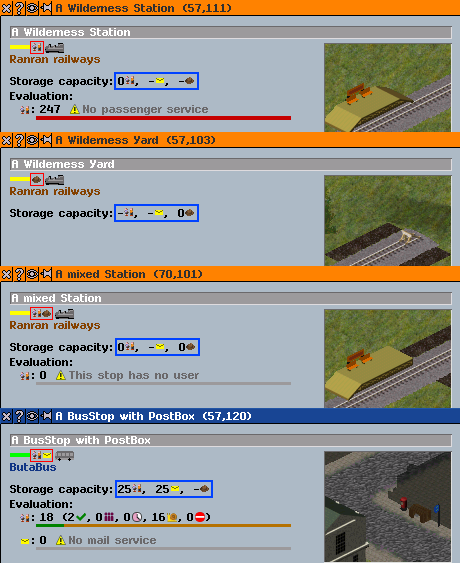 1) Display the station owner's name in the player's color. This color is the same as the display of the current active player name at the bottom of the screen, so it will not be difficult to see. 2) It clarifies the difference between the case where the capacity is 0 but it is available and not available. If stop does not have the corresponding cargo attribute, "-" will be displayed instead of 0. Here is my github repository. I look forward to your feedback. Thanks. EDIT: Can we get rid of the redundant icon next to the status bar? Thank you - this looks interesting. May I ask to what icon that you are referring as being redundant next to the status bar? Ware icons in blue part are always displayed, and unavailable cargoes are now displayed with "-". Therefore it seems no problem to remove the red part display. I understand now; yes, I agree, that does seem sensible. Does anyone have any feedback on this issue (and this modification generally) before I look into integrating this? Great thing with the name in player color! With the icons, why not just remove the icon that have no capacity instead of displaying a "-" in front of it? why not just remove the icon that have no capacity instead of displaying a "-" in front of it? Oh, I didn't notice that. Is that better? I believe it would, since people would probably be confused with the difference between "0" and "-" means. If the icon is removed entirely, it not only eliminates the need for the "-", it also helps the player at a glance to see what what kind of stop it is. On another note, you have already made a bunch of icons for each good category, that you would display at different places. While all good categories can be currently be "served" by any stop having any good capacity, there is no easy way to see what kinds of good is currently connected to a stop by convoys. The player can read up on it in the details window, but if the stop is rather big, that list grows alot. 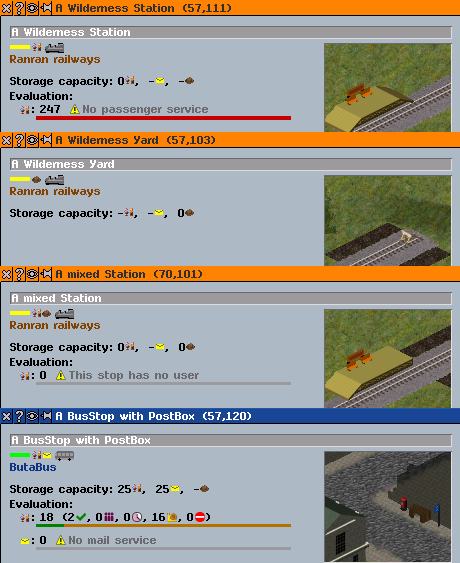 Instead, what if you add another section in the halt window, below the passenger- and mail sections, that only pops up if it has good capacity. The section might be called "cargo connections" or something similar, and it would just list any of the cargo categories that vehicles stopping at that stop might have with their icon. I agree with Ves - just remove the capacity number completely. Now the extras have been removed and the margins have increased. I would like to add features recommended by Ves, I think that is possible and useful. However, I think there is room in the upper right margin but not in the lower margin. Does this mean that only the existence is represented by the symbol without displaying the quantity? That does look good. Is it worthwhile testing this now, or would it be better for me to wait for the additions that you plan? Is it worthwhile testing this now, or would it be better for me to wait for the additions that you plan? Since additional prospect is unclear, I think it is better to test it now. Additional functions being requested appear to be suitable for threads dedicated to another new feature - goods category symbols. Splendid, thank you. Now tested and incorporated. Just wanted to thank Ranran and James for this. Nice addition! 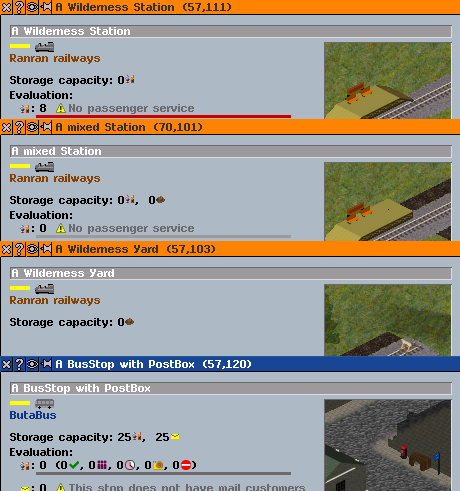 Just an idea, the icons in top left (together with bus/train/boat... Icon might be the same as in line overview. There it is useful to show if all stops accept pax/mail/goods.